To be able to read and provide accurate transcriptions of speech sounds is the most fundamental and yet most demanding task facing students of language and linguistics. 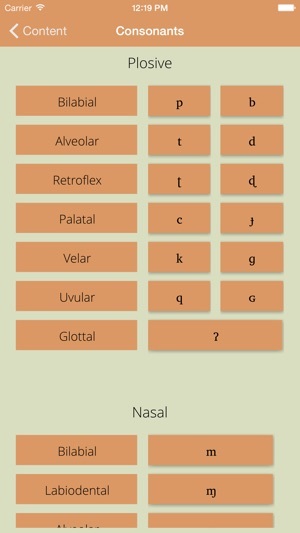 This App has a unique interface for exploring the International Phonetic Alphabet (IPA). 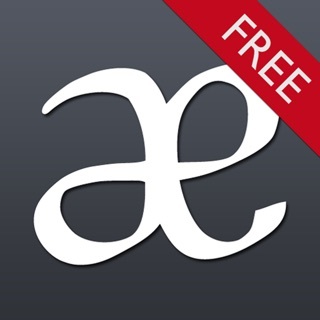 - Practice consonants and vowels with this fun and interatcive app. 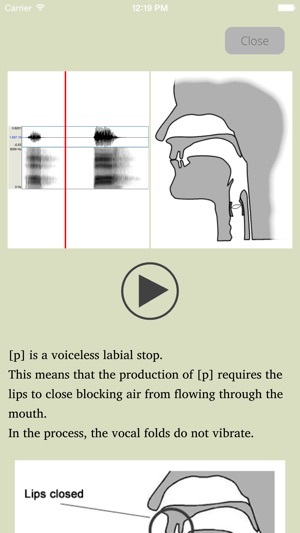 - Clear graphic, audio and textual descriptions of speech sounds. 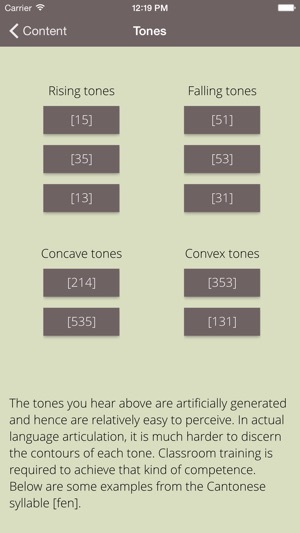 - Comprehensive coverage of the consonants, vowels and tonal symbols. 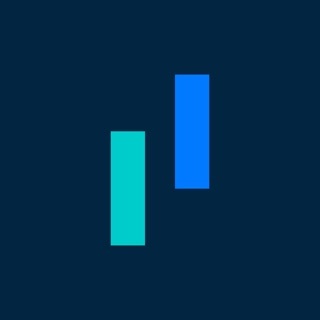 Press on the symbols in the charts to see and hear them. 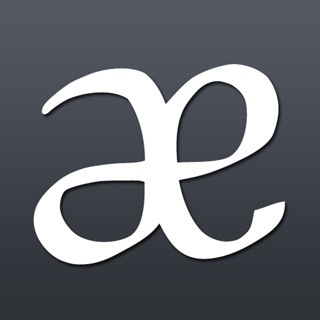 - Cross-section animations illustrate the articulations of the speech sounds. 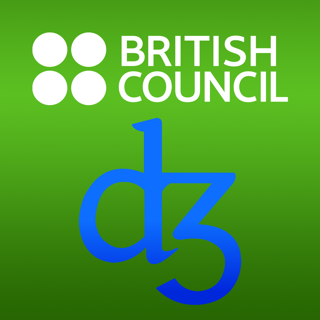 I am educating myself in various topics including correct language articulation as this is vital in vocal communication. 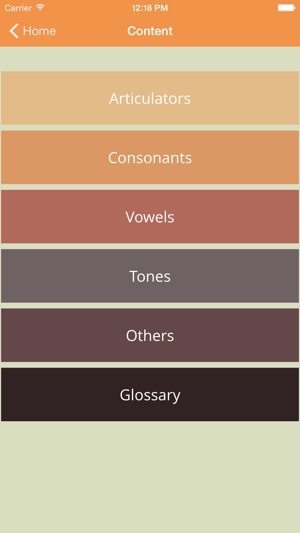 Dictionaries use a phonetic alphabet, utilizing characters from type sets of mechanical printing presses for correct pronunciation, which forms a unique language that later developed into the International Phonetic Alphabet. 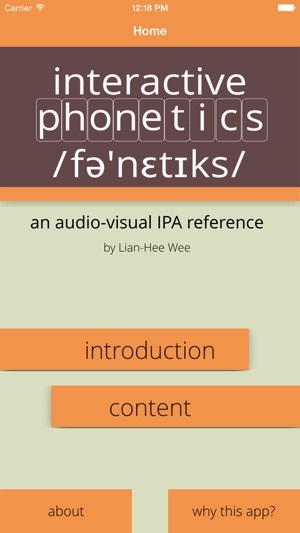 AV Phonetics offers full comprehension of the International Phonetic Alphabet with charts, audio, animation, and interactive elements; with no required fee or advertisements.. I offer my gratitude and appreciation for this excellent and admirable educational reference application. This app is amazing! The interface is neat and it's quite helpful to see the spectrogram. I just wish the pronunciation of non-pulmonic sounds can be added in the future.